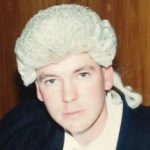 On 24 November 1980 Peter Maciaszek was admitted to the bar. This is his admission notice. Peter then went to work for another leading Christchurch law firm for several years where he met his wife Allison. Peter Maciaszek joined Geddes and Maciaszek in 1983 and became a partner in 1986. 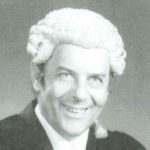 In 1990 Mark Brown was admitted to the bar. This picture was taken of Mark signing the Roll of Barristers and Solicitors. Mark joined Geddes and Maciaszek shortly thereafter and became a partner of the firm on 1 April 2004. In 1992 the firm moved to premises on the third floor of the BNZ building at 137 Armagh Street Christchurch. The office was well located to the Courts and had wonderful views over the Avon River and the Band Rotunda. Mr Maciaszek senior retired in 2003 having had a full and varied legal practice. He was passionate about his clients and getting the best result for them. 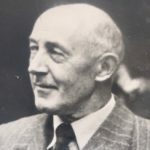 For more information on Mr Maciaszek senior you can read our blog here. On 23 March 2012 we moved into new premises at the top of Lincoln Road. It was wonderful to have more space and to be so close to Hagley Park. Why use Maciaszek Brown Law? At Maciaszek Brown law our friendly and professional team has a wealth of experience and specialist knowledge and is large enough to provide a broad range of legal services but is small enough to give you great personalised service. We get to know our clients and our clients get to know us. The Partners and staff at Maciaszek Brown Law have a wealth of experience and have expertise in many areas of law that you can rely on. The partners and staff at Maciaszek Brown Law have a wealth of experience and specialist knowledge. We provide effective solutions which are easy to understand and implement. We help our clients by supplying quality legal advice in a timely manner which clearly sets out their options to enable clients to make an informed decision which is right for them. At Maciaszek Brown Law we are proud to have longstanding multigenerational relationships with clients and their extended families. We strive to connect with clients to understand their needs so that we can provide effective solutions which are easy to understand and implement.